This race is just bursting at the seams with talent. This race is going to be amazing to watch and YOU MUST watch this race. Two foreign trained horses are going to be running in this race along with my favorite Einstein. Of course I am going to root on Einstein to win, and if he wins against such talent as Mount Nelson and Archipenko, that would be just as impressive as coming in second to Curlin on dirt, if not more so. I say that, because Archipenko has raced among incredible talent and won against those same deep fields across the world. I have never heard of this horse before this race, but after talking with people and researching his accomplishments...wow. Then Mount Nelson has Aiden O'Brien to rely upon in training. Though Aiden also trained Archipenko for a bit. I don't need to say much on the European turf racing, we know how well those lovely European turf horses are. Einstein will have great company on this trip and I honestly am not going to focus on him winning the race for once. This race is about getting into or absorbing the moment before you. The talent and fun factor should be very engaging and I just want enjoy this race, because I think it will turn out to be awesome. If you question Archipenko, out of all of the races of his, watch the Audemars Piguet QE II Cup 2008, prepare for chills when he hits the stretch. If you are curious on Mount Nelson's heart, watch the Coral Eclipse Stakes video, see below. View the race thoughts on this weeks That Handicapping Show. This is a wonderful thing, because Keeneland is not only the hub of the auction world, but has had great success and rich tradition in racing and hosting wonderful events. The ambiance and ethos are extremely attractive and peaceful. So what am I going to lobby for in this redesign? Definitely maintaining the open and natural feeling of the layout. Yet, especially with FEI World Equestrian Games coming around, we need to plan for larger crowds, bigger events and A BREEDERS' CUP please. I like Churchill a lot, but man, Keeneland needs a facility that can handle larger crowds and host the Breeders' Cup. I think that one event is the major goal I want to lobby for. Lexington deserves it, Keeneland deserves it, and Keeneland is honestly overdue for a BC meet. 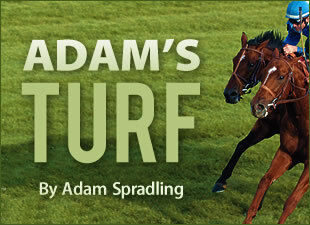 To discuss this topic with our community, please visit the new Keeneland Blog (coming soon). For further details read this article.